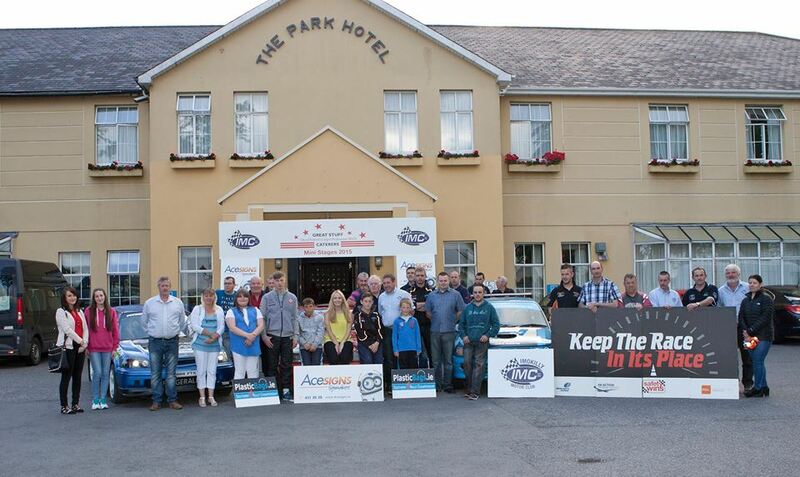 The launch of the Great Stuff Caterers Imokilly Mini Stages Rally took place on Wednesday last at the Rally Headquarters, The Park Hotel in Dungarvan. Clerk of the Course Derek Power was joined by Imokilly Motor Club Members, Sponsors and friends for a photo shoot in front of the hotel and afterwards for some light refreshments in the hotel ballroom. Speaking at the launch Derek said that he was delighted to be back as Clerk of the Course and even more so to be bringing the event to his home town of Dungarvan. Commenting on the route Derek said, "The 26th of July is the date of the Rally and we have 2 great 15Km stages very close to Dungarvan which will be repeated 3 times each and will test even the most experienced competitors. 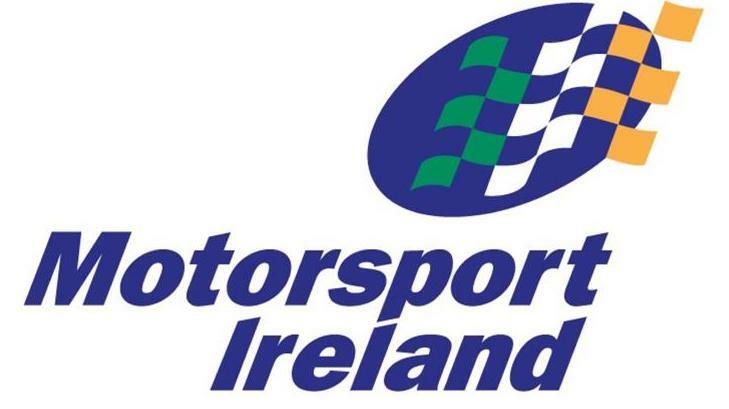 Scrutiny, Parc Ferme and Service are all located in Dungarvan and all within walking distance of the HQ which will make the event very accessible to the public." 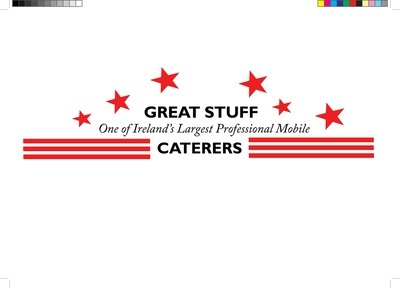 "We are delighted to welcome Bryan Allen and his team at Great Stuff Caterers back on board as title sponsors for our rally. 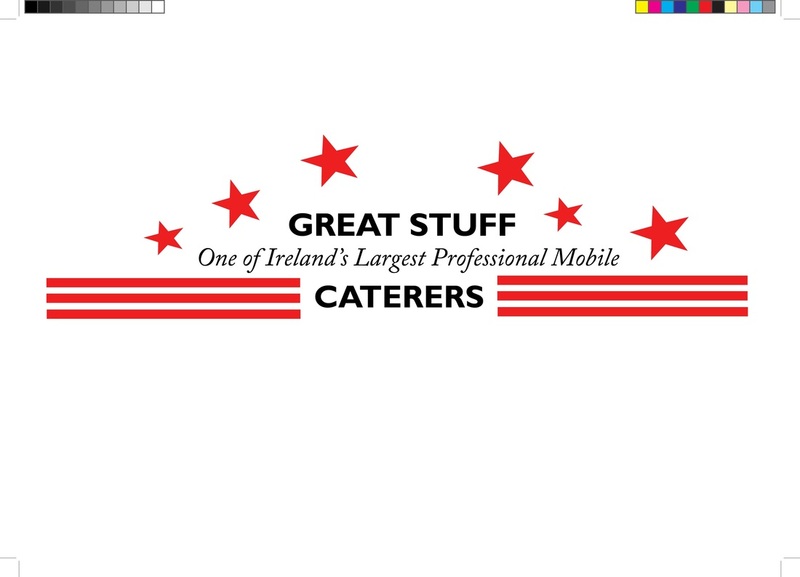 Great Stuff Caterers, a local based company and one of Ireland's largest mobile catering companies have been supporting us in Imokilly Motor Club since our first Single Stage Rally in 2012 and are avid supporters of Irish Motorsport. 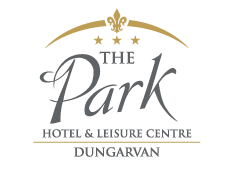 We are also delighted to be based here at the Park Hotel in Dungarvan. Such a fine Headquarters can only improve the profile of our event. The Great Stuff Caterers Imokilly Mini Stages Rally will be round 4 of the Plasticbags.ie Southern 4 Rally Championship and we welcome these registered competitors to our event." During the launch Derek and Deputy Clerk of the Course Finbarr Fogarty were presented with a set of marshals bibs from the family of the late Paul Mulcahy, a competitor and club member who was tragically killed whilst competing at a rally event 2 years ago. All the marshals on the rally will now be wearing these distinctive orange bibs in memory of Paul and his famous orange Toyota Starlet. Entries are open and are coming in every day. 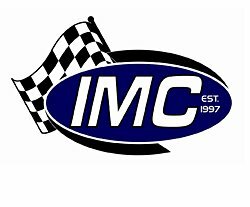 Further details, regulations and entry forms are available on the club website www.imokillymotorclub.com. Earlier on Wednesday, before the launch, a number of Imokilly Motor Club members visited Ballycurrane National School which is on the rally route. We brought along a rally car and the official start ramp for the rally which was set up in the school car park. Clerk of the Course Derek Power gave a safety briefing to all the kids, many of who's houses are along the rally route. Afterwards everyone got to sit and get their photos taken in the rally car. We would like to express our thanks to Mr Gough and Miss Moroney for being so accommodating and especially to all the kids for all the extremely interesting questions about rallying that they asked. 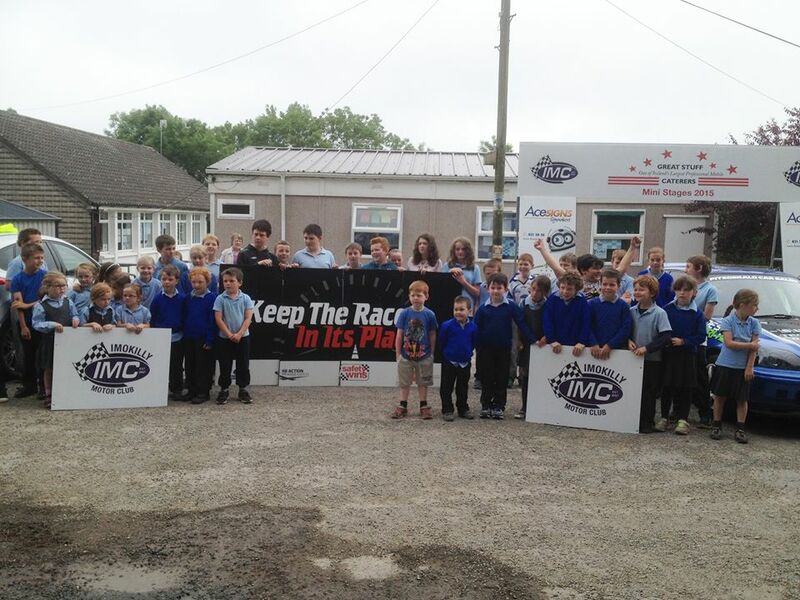 Check out our facebook Imokillyministages for lots of more photos from the school visit.